Marksmess Podcasts: John Adams: Letters from the front for April 1917. John Adams: Letters from the front for April 1917. John Adams: Letters from the front for April 1917. 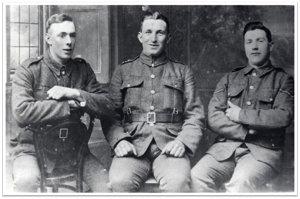 There are no letters this month, but we look at the 9th Royal Irish Fusiliers in early 1917.
or find us on iTunes.